By any criteria you choose, Manny Pacquiao is a great fighter. We may differ on when we think he achieved that distinction, but no one doubts he’s earned it. He will remain a great fighter regardless of what befalls him in the ring. 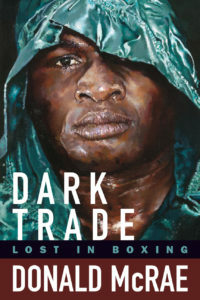 Even a fighter’s sad end—where his name and the shadow of a shadow that bears it are scavenged and discarded—will do nothing to crack the underpinnings of the legacy he’s built. 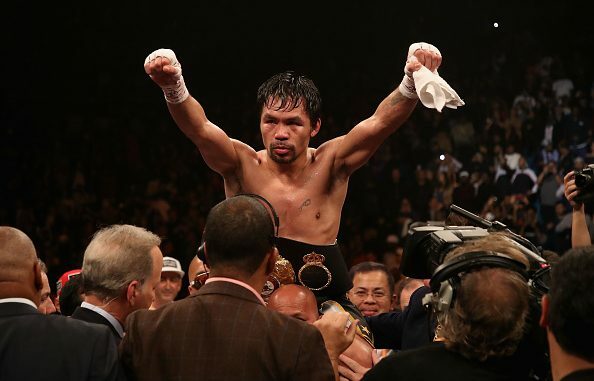 Conversely, there are few challenges left that can augment rather than simply confirm Pacquiao’s greatness. He has earned the right to name his price where those challenges are concerned, to pass on them entirely even. Pacquiao’s greatness isn’t particularly interesting; it is unshakably permanent, complete, even old. How good he is, however, how he measures up not against history but against the field, is a question to have answered. At least there is a little mystery there, and a little futurity. Adrien Broner promised to provide some insight into that question when he faced Pacquiao at the MGM Grand in Las Vegas Saturday night. Alas, we learned nothing; Pacquiao routed Broner via wide unanimous decision because the Filipino fighter is still that good and Broner, absent the bullying advantages of his lightweight days, never has been. Unlike Pacquiao, there is little intrigue in learning just how good Broner is. To borrow from Stereophonics, Broner, 33-4-1(24), has just enough education to perform. He has learned how to throw a sharp counter left hook, how to come forward behind a high guard and a stiff cross, how to hide his rear uppercut. And because these skills are not enough for him to be successful at the highest level, he has also learned how to intuit when victory demands too great a risk, when he has been solved, when a safe defeat secures his future better than his daring might. So long as Broner can make a living in the ring, these are the lessons that will drown out whatever exhortations any trainer will make of him. Though he would never admit it, Broner acts like a fighter who has learned how to be a gatekeeper, one who does not believe himself fighter enough to be otherwise. His histrionics after the final bell Saturday, that ridiculous scaling of the ropes in unconvincing celebration was done in the name of preservation. Broner ostensibly quit against Pacquiao but was trying to swerve the quitter’s brand. He makes a decent gatekeeper, though, doesn’t he? Broner is talented enough to trouble all but the elite, can chin check any welterweight on the planet, takes a good punch himself, and yet isn’t committed to winning enough to force his opponent anywhere uncomfortable for long. He also has yet to be stopped, and the first man to do so will proudly—too proudly, no?—claim to have done what Marcos Maidana, Mikey Garcia, Manny Pacquiao could not. And while people may bemoan Broner’s antics outside the ring, his apathy within it, the Cincinnati fighter remains an attraction. A gatekeeper who still manages to bring an audience—is there any better kind? “The Problem,” then, should expect further outcomes as degrading as his effort. Funny how a fighter who has treated people he deems beneath him so poorly now mans the elevator to an elite club that long ago laughed off his application. Perhaps it was foolish, then, to expect Broner to teach us anything about the 2019 version of Pacquiao (and why task a gatekeeper with so much?). Pacquiao, 61-7-2(39), is now too heavy in the legs to employ the angles that confounded the opponents of his prime, and Broner is too experienced, too good really, to be troubled by poorly executed old tricks. In fact, he looked confident early, entirely unfazed as he pivoted with Pacquiao and measured his counters. Nor were Pacquiao’s sporadic flurries especially problematic for Broner, in part because Pacquiao’s balance has deteriorated and he smothers himself if his entry cross doesn’t land, in part because Broner was plenty willing to hold when a fight threatened to break out. But Broner was, as usual, unwilling to let his hands go, to push the pace on a forty-year-old, and so Pacquiao controlled the fight—not with power or volume so much but with feints, head movement, and enough well-placed left hands to reconcile Broner first to counter-punching and then to defeat. How many other fighters could Pacquiao force the same reconciliation on? After twenty-four years and seventy fights as a professional, how good is he? Just as a sauce when heated evaporates leaving a more concentrated reduction, age has taken from Pacquiao some of his otherworldly physical gifts and left behind his remarkable craft. Neither Shawn Porter nor the aforementioned Garcia had their way with Broner as Pacquiao did, and the price of Maidana’s grand humiliating of Broner was one the Argentine slugger felt in his bones the next morning. Pacquiao cowed Broner while suffering barely a scratch. Admittedly, outside of a particularly hurtful seventh, Pacquiao didn’t dole out too many scratches either. The excitement of Pacquiao’s fights has dulled with his aging blades; this forty-year-old former knockout puncher now has to box to victory. That he is able to do so should not be lost on those who wait in vain for Pacquiao to gift them a short night. It may be for the best that Pacquiao now fights under the PBC banner. Because it is there that he will find—with the glaring exception of Terence Crawford—the welterweights who will tell us what remains of his seemingly eternal fire. Signing with a new promoter tends to bring either a high-profile bout or a well-compensated soft touch before a fight of real substance. We should not kid ourselves about which of those two Broner represented. On to the next one.